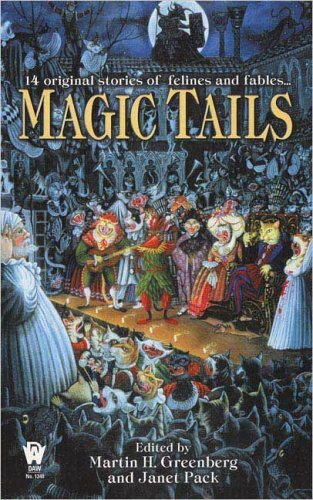 Synopsis: Featuring contributions from Alan Dean Foster, Elizabeth Ann Scarborough, Charles de Lint, and Jody Lynn Nye, this imaginative collection puts a feline twist on classic bedtime stories, from a cat genie who has a problem fulfilling human wishes to a cat-assisted solution to the Three Pigs' wolf dilemna. Original. About the Author&colon; Martin H. Greenbergwas honored in 1995 by the Mystery Writers of America with the Ellery Queen Award for lifetime achievement in mystery editing. He is also the recipient of two Anthony awards. Mystery Scene magazine called him "the best mystery anthologist since Ellery Queen." He has compiled more than 1,000 anthologies andis the president of TEKNO books.He lives in Green Bay, Wisconsin.